Located on the west side of campus near the student residences, the SFU Childcare Society has fifteen programs offering quality childcare services. It is a unique facility that provides full- and part-time care to over 300 children aged 3 months to 12 years. Programs operate weekdays from 8:00am through 5:30pm with extended hours for school-aged children (7:30am through 6:00pm). By early 2020 the SFU Childcare Society plans to add another program for the 3-5 year old age group and will then have sixteen programs serving over 350 children and families. 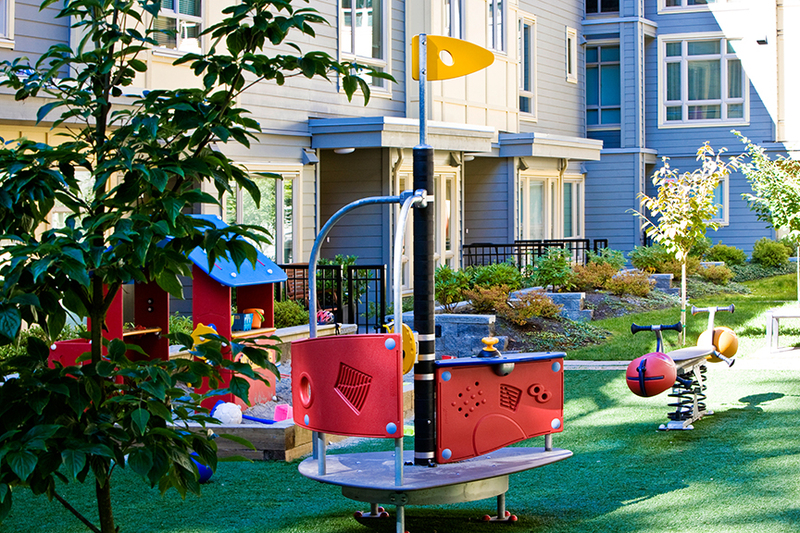 People residing in the UniverCity community, whether renters or owners, have access to childcare. UniverCity residents are able to apply for childcare through the Society, however acceptance into a program is dependent upon availability. Please contact the centre as soon as possible so that you can be placed on the appropriate wait list. For more information call 778-782-4569 or visit www.sfu.ca/childcare. The Verdant Toddler Program offers care for children ages 1 through 3 and is managed by SFU childcare. 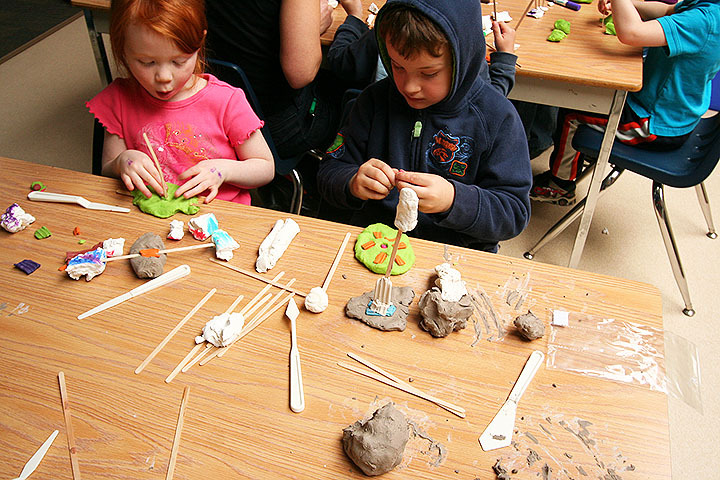 For information about the program, fees, and other particulars, please visit: http://www.sfu.ca/childcare. The UniverCity Childcare Centre opened its doors on April 2, 2012. The revolutionary facility, with space for 50 three to five-year-olds, is expected to be the first building in western Canada to meet the Living Building Challenge™, which means it will have to generate as much energy as it uses, collect or recycle more water than it consumes, and be built and operated using non-toxic materials, sourced as locally as possible. The centre cost 15 to 20 per cent less than other childcare facilities being built in the region, without the green features. 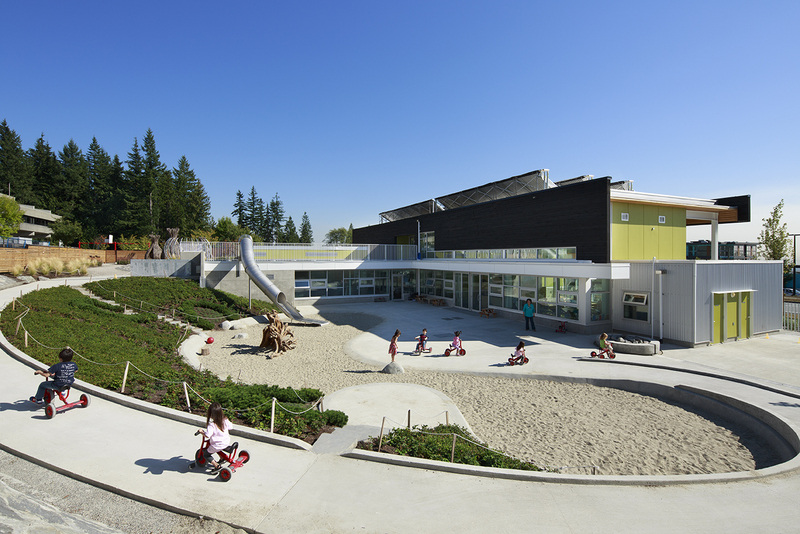 Operated by the SFU Childcare Society, it is the first childcare centre in the world to integrate the most advanced environmental design and the renowned Reggio Emilia childcare program. SFU Faculty of Education faculty and student researchers also use the setting to investigate optimal ways to provoke and sustain learning in Reggio-inspired classrooms and how this holistic approach effects social development and learning interactions within the classroom community. The Reggio Emilia model emphasizes three “teachers”: the educator, the environment, and the broader community in which the children live. The childcare facility itself becomes a laboratory for self-directed learning. The UniverCity Childcare facility will provide unique opportunities both indoors and out for the children to explore water, light, air, gravity, vegetation, and seasonal change. For information on enrollment, costs, and hours, visit www.sfu.ca/childcare. 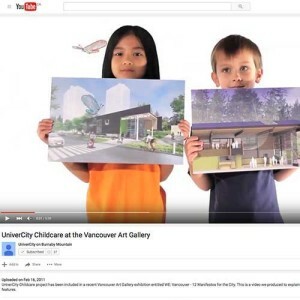 For more information on the UniverCity Childcare Centre, and the LIVING BUILDING CHALLENGE please click here. On September 7th, 2010, UniverCity’s youngsters attended their first day of classes at the new University Highlands Elementary School. 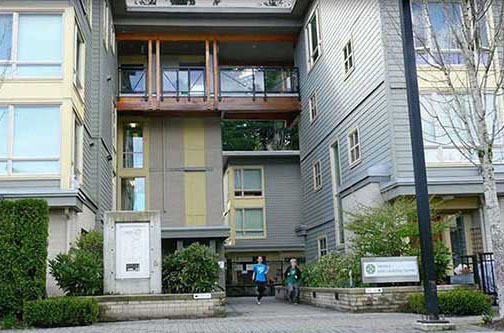 Located in the heart of UniverCity, the school is an exciting addition to the model sustainable community being developed here on Burnaby Mountain. 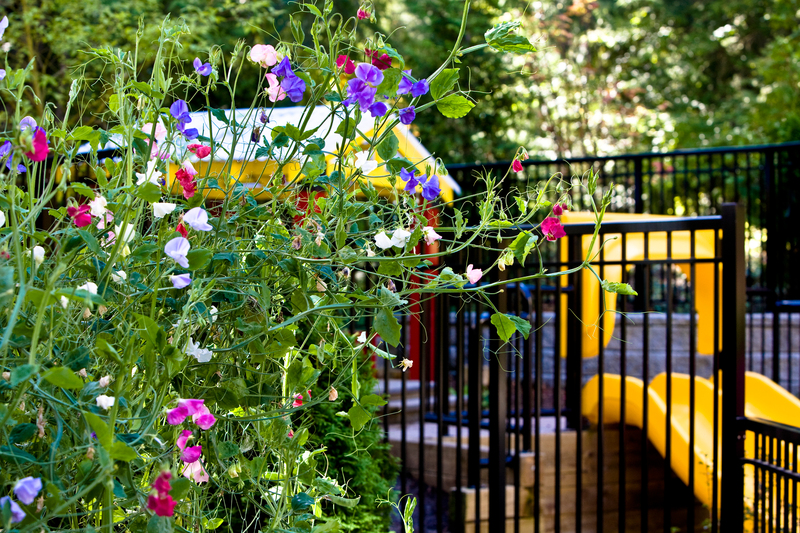 With one in four new Burnaby residents making their home at UniverCity, there are a growing number of families on Burnaby Mountain and they now have an innovative elementary school within walking distance of their homes. Space is provided for 40 Kindergarten and 275 elementary students. Currently the school has 195 students enrolled. The school features a curriculum focused on sustainability and community involvement. 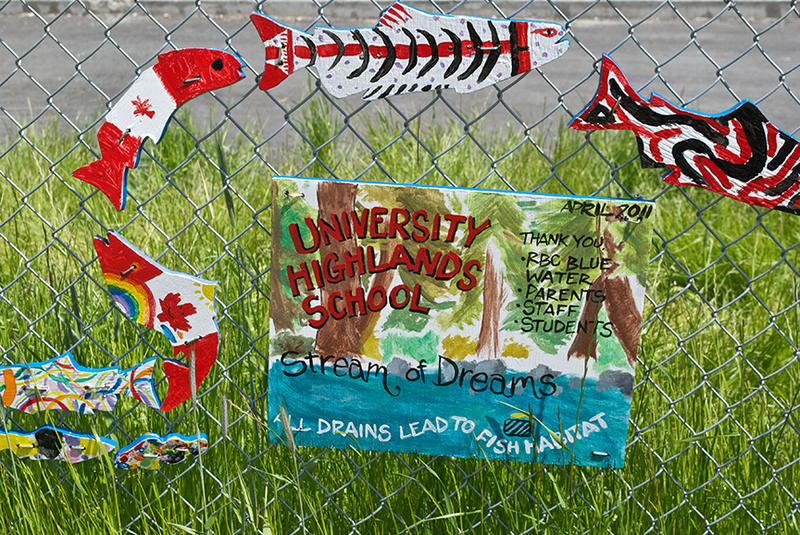 Teachers will take advantage of opportunities in the surrounding UniverCity community and on the adjacent Simon Fraser University campus to help students learn about their impact on the local and global environment. 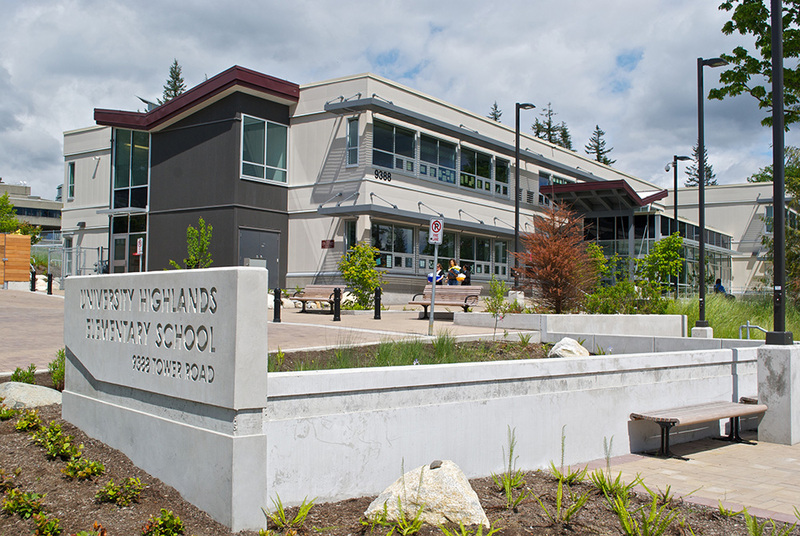 University Highlands Elementary School was funded through a partnership between the Trust, the Burnaby Board of Education, the BC Ministry of Education, and the City of Burnaby, and occupies a repurposed and expanded former university building. This renovated building has been given an extensive seismic upgrade and brought up to Leadership in Energy and Environmental Design (LEED™) Gold standards. 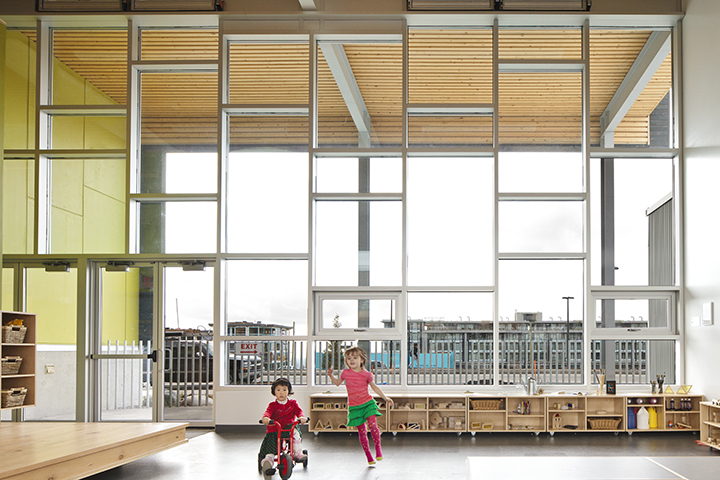 The school was designed to be the province’s first LEED™ Gold school renovation. Over 75 per cent of the existing structure was retained. Notable additions include extensive energy efficiency upgrades, water-efficient landscaping, an outdoor amphitheatre and classrooms, and smart meter systems that allow the students to learn about and control the building’s energy and water systems. During non-school hours, space in the building will accommodate city-run community programming for local residents. View a tour of the new facility with principal Lori Driussi by checking out the Global TV feature on the new school that aired September 10th, 2010 . Follow a young UniverCity resident as he prepares for his First Day of School at University Highlands Elementary School. In September 2016 – almost six years to the day of its official opening — SFU Community Trust, the Burnaby School Board, SFU Childcare Society and SFU made an important announcement that $3.9 million in funding for an expansion at the University Highlands Elementary School. The project will create 195 new student spaces through the construction of a two-storey addition, which will house seven new elementary classrooms and one kindergarten classroom. 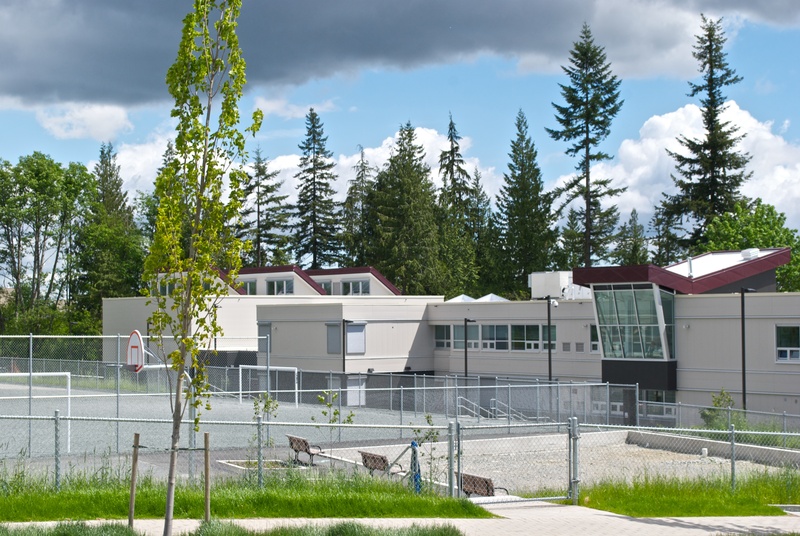 Part of the project also includes relocating 24 before-and-after-school care spaces from the west side of the SFU campus to University Highlands Elementary, meaning that children will no longer have to leave school property to attend their after-school care program. The BC Provincial government contributed almost $2.8 million towards the expansion project and SFU Community Trust contributed another $1 million towards the addition. The SFU Childcare Society is also contributing $400,000 towards the expansion and $100,000 to purchase equipment through a grant from the provincial Ministry of Children and Family Development.